Cooking rice without a rice cooker has never been easier! 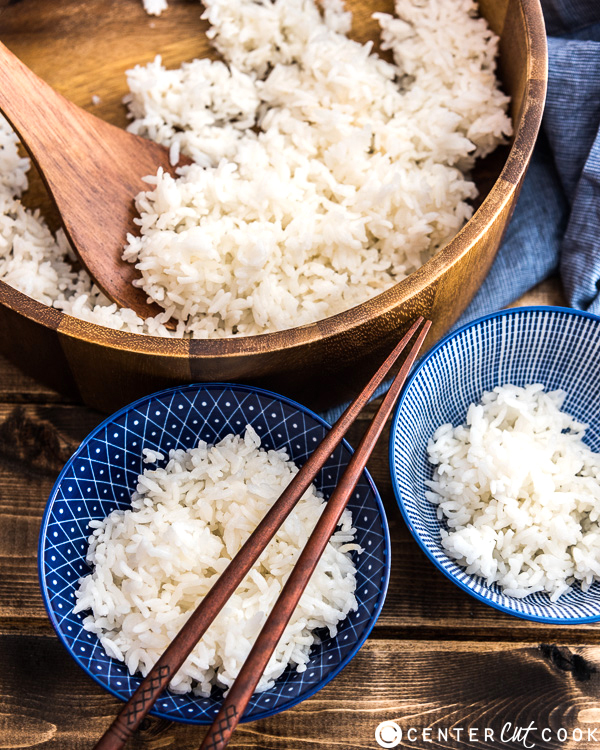 Learn how to make perfect rice every single time! 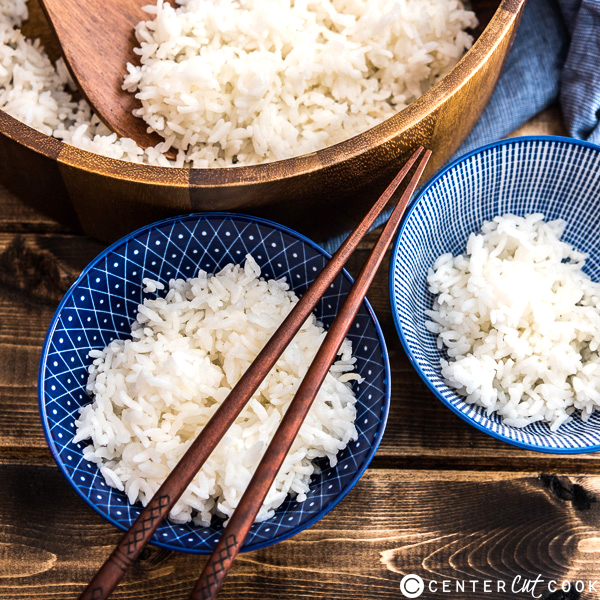 Cooking rice is the most basic kitchen task in Asian cooking, yet many people have trouble creating fluffy white rice that is not mushy. However, once you learn the tricks, you’ll find that cooking perfect rice is the simplest thing to do! Of course, you’ll need a perfect rice-to-water ratio, so the rice will absorb the water completely during cooking. If you use less water, the rice will be tough and some grains might not be cooked completely. If you use too much water, the rice will become mushy and even turn to an oatmeal-like texture. In this recipe, I listed the ratios for cooking both short grain and long grain rice. However, you might need one or two attempts to figure out the golden ratio. Because the rice will absorb different amounts of water depending on the type and quality. Bookmark this recipe so you can easily serve white rice with your favorite bang bang shrimp or stir fried beef next time! Rinse the rice with tap water, gently wash with hands, and discard the water. Repeat 3 times. Cover rice with water again and let rest for 30 minutes. Transfer rice to a sieve and drain well. Transfer the rice to a medium dutch oven (or heavy pot with a tight fitting lid) and add water to cover. Cover and cook over medium heat. As soon as the water is boiling, turn to low heat. Cover and simmer for 12 minutes. Uncover and take a quick peek at the rice. If there is water left, cover and let cook for another 1 to 2 minutes. Remove the the pot from the stove. Let rest, covered, for 10 to 20 minutes. Fluff the rice with a rice paddle and serve warm.